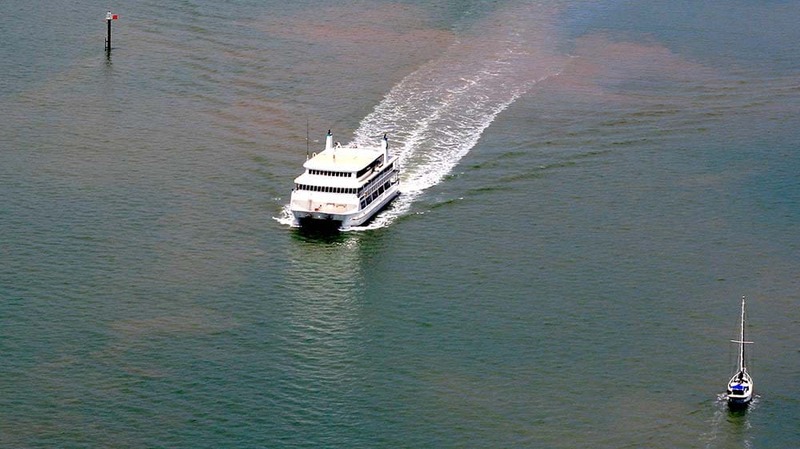 A tourism boat motors through sediment suspended during dredging operations in Cairns. “The holding back of release of the environmental impact statement for the Cairns dredging proposal is a cynical move designed to stifle real debate on the issue until after the election. We are calling on all political candidates to make their position clear on a number of aspects of the proposal.